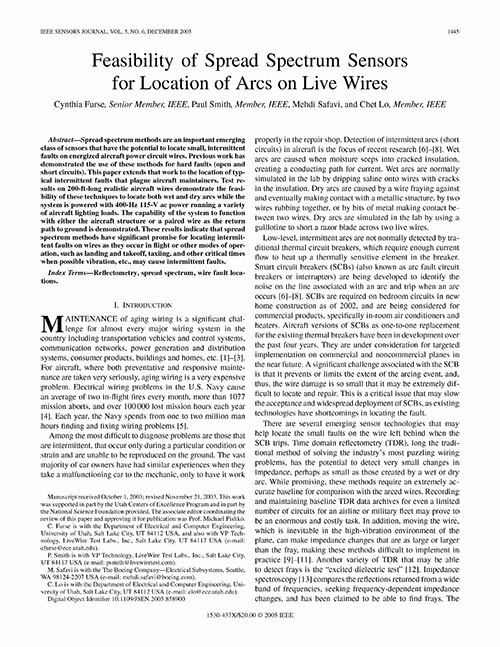 LiveWire’s core SSTDR technology is a combination of TDR and Spread Spectrum techniques. 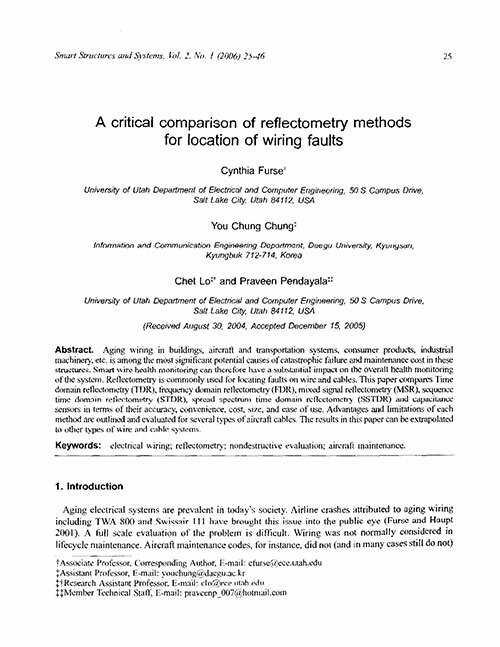 Time Domain Reflectometry (TDR) is the established method for testing wires and cables, but has its limitations. 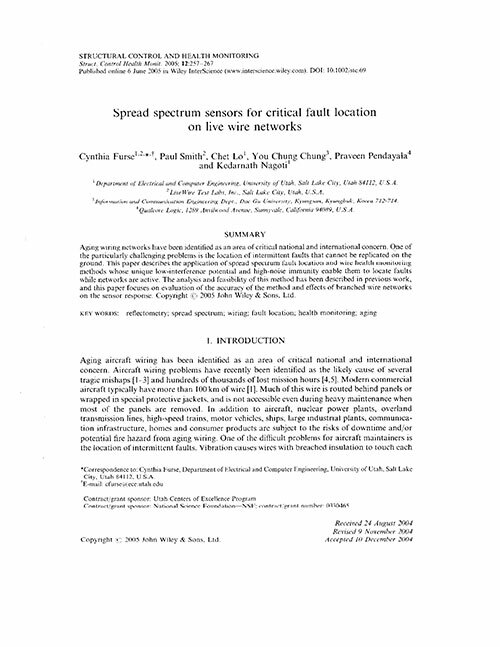 Spread Spectrum is a foundation of cellular phone communications, used to transmit small, but nevertheless recognizable signals in high noise environments. 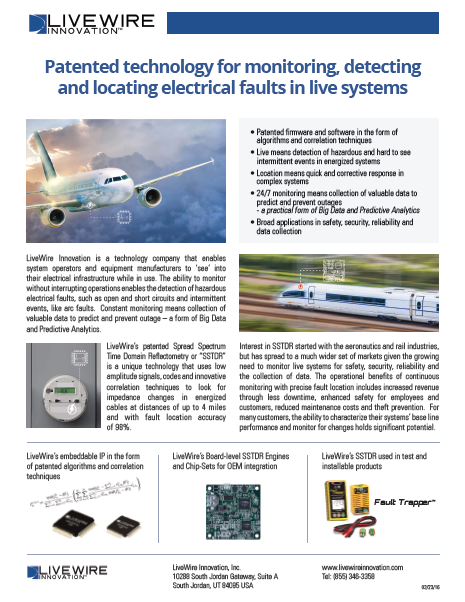 By combining Spread Spectrum with TDR, LiveWire has achieved a significant breakthrough in being able to monitor and locate real-time changes in live electrical circuits. 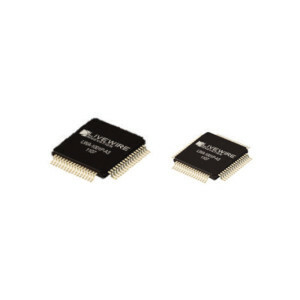 The foundation of LiveWire’s SSTDR sensor solutions are proprietary algorithms and correlation techniques in combination with electronics that develop the ability to send and receive the spread of signals at a rate of up to 600 scans per second, then process the returns to determine what they mean and report the event. 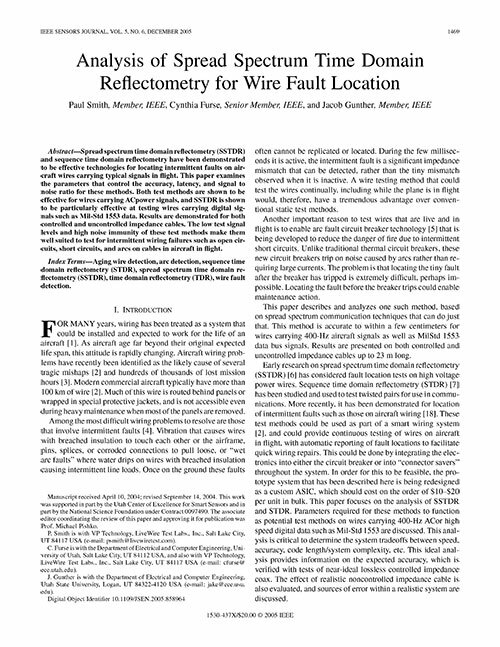 SSTDR can be run on energized wires because the Spread Spectrum signals can be isolated from the host system noise and activity. 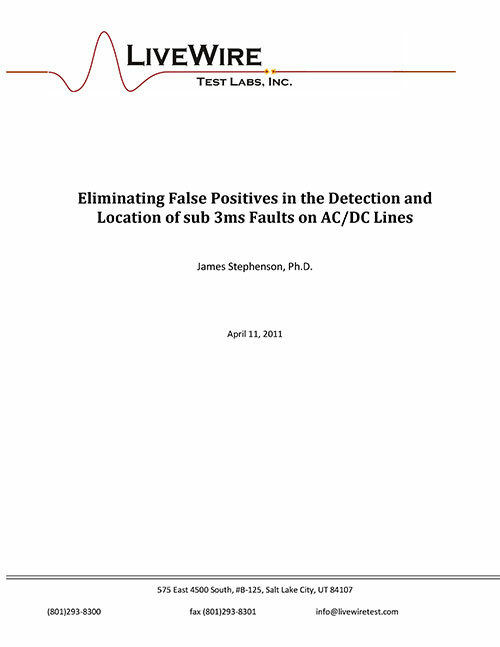 Small impedance changes caused by known conditions, like connectors and loads and inherent system noise can be ignored. 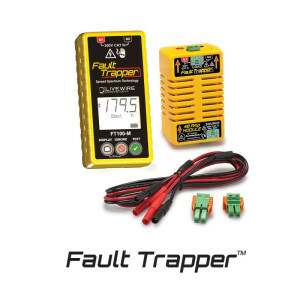 Unplanned events such as hard or intermittent faults are reported. Live monitoring means that events and their location can be logged as they happen and the ability to collect data to build a profile or ‘signature’ of a system is possible. 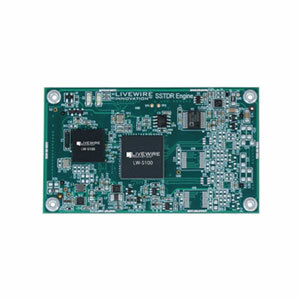 LiveWire partners can embed and utilize its SSTDR technology in a number of different variants, including a line of standard products, handhelds for rebranding and customized cores for deep integration. 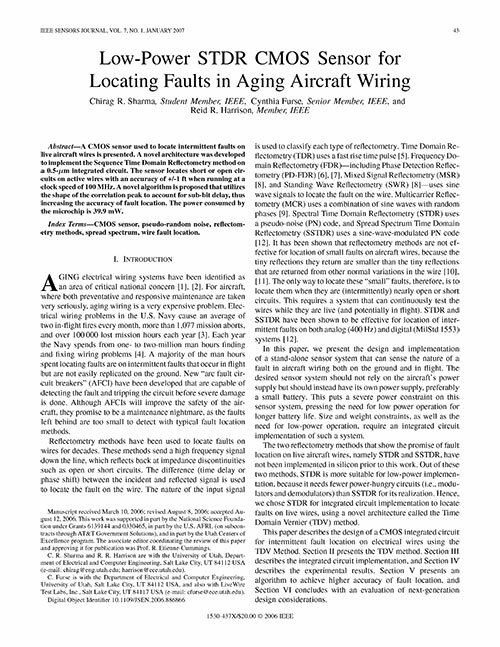 Licensing of LiveWire’s patented techniques is available for high-volume applications where customers already have the required signal and processing electronics within their systems. 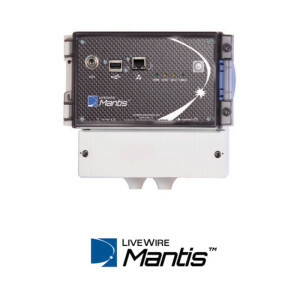 LiveWire can work with most communications and control options. Update and reporting interfaces that can be used include serial, USB, JTAG, Ethernet and others. 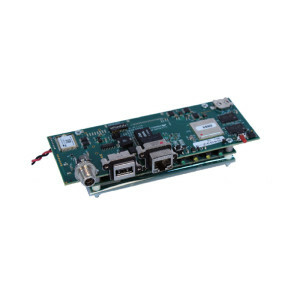 Board-level solutions can support several other communications protocols including, SPI, I2C and CAN. Fully housed sensor modules for permanent installation. 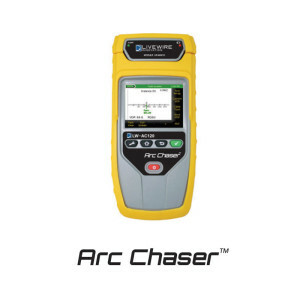 Handheld products using LiveWire’s Spread Spectrum brand of TDR for maintenance, field testing and electrical contractor markets.